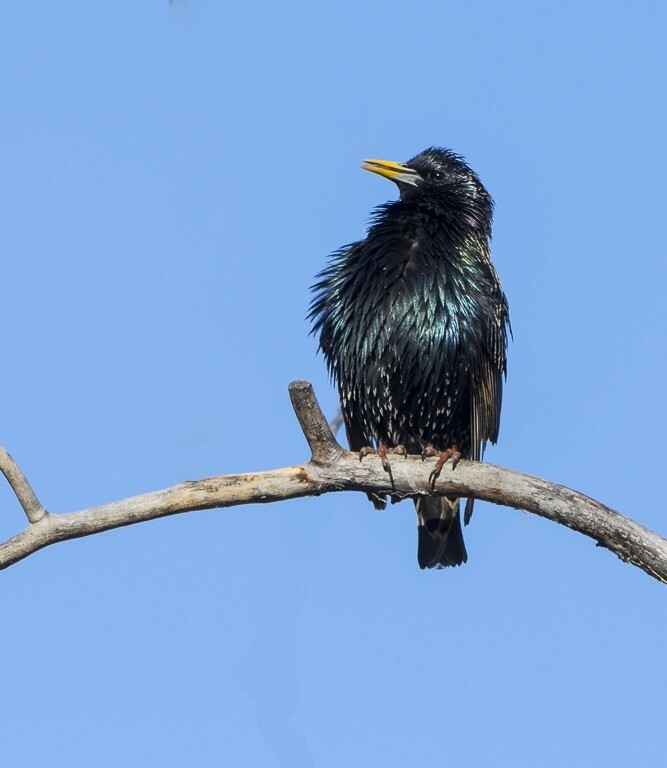 The European Starling usually migrates south in the winter. However, as with all birds some stay and stick out the cold Canadian winter. The ones that stay take on a much different look in the winter. ( Top photo to the right ). Compare the winter plumage to the summer plumage (Bottom right photo ). 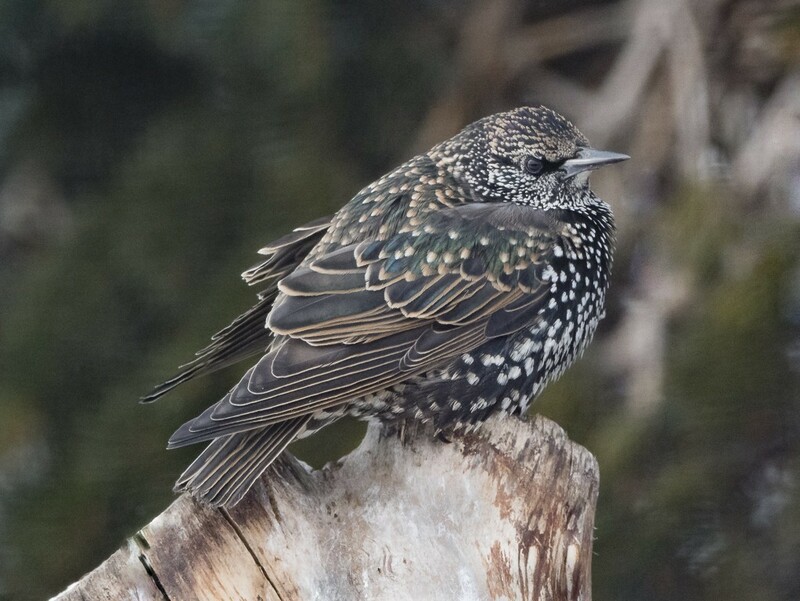 The interesting thing about the Starlings is they don't molt. They are dark with light speckles in the fall and winter. In the spring and summer they are iridescent purple and green. The speckles in the top photo are actually the cream-colored tips of the head and body feathers, they are lost by abrasion. The dark feathers contain melanin, which is resistant to abrasion. Personally from a bird photographer's point of view they make great subjects all year long, that is if you can find one to photograph in the winter.